How do I Choose the Right Septic Tank Size? Determining the amount of water used in the home will allow an individual to choose the right size septic tank. Whether you are building a new home or remodeling an older residence, the issue of having the right septic tank size is important. Not everyone is aware that these tanks are available in different sizes. However, choosing one that is too small for your needs can create a great deal of problems in a short period of time. In order to determine what septic tank size you need, begin by taking a look at the average water usage in your home. This includes usage for all functions, from bathing to cooking to watering the lawn. 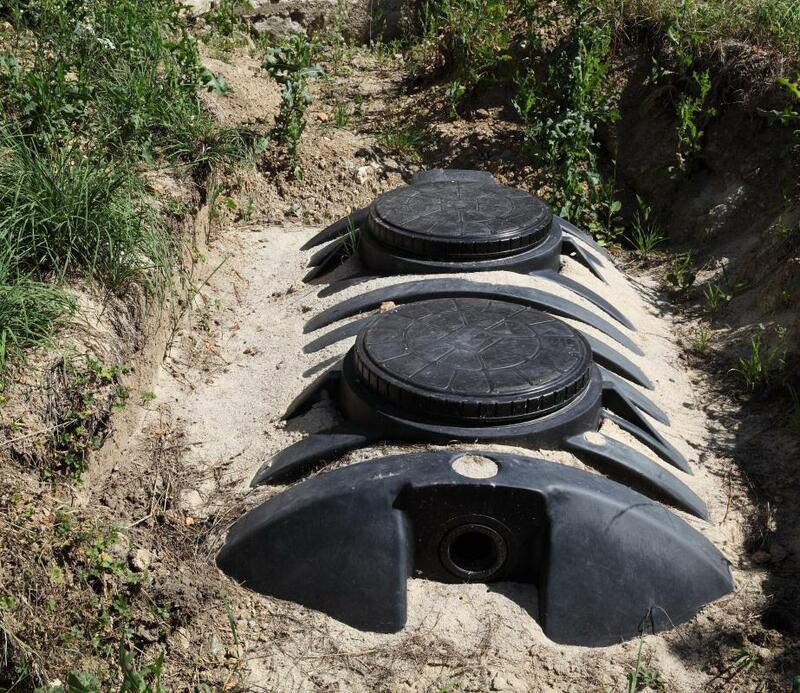 A good rule of thumb is to choose a septic tank design that is capable of holding twice your average daily usage. Anything smaller will likely not work properly for very long, leading to a great deal of extra expense. Another approach is to consider the size of the residence. The idea behind this approach is that a larger home is likely to house more people. Thus, a three bedroom home would require a larger septic tank than a home with one bedroom. However, it is often recommended to add one extra bedroom to the formula, just to allow for extenuating circumstances such as entertaining houseguests for an extended period of time. The amount of space you have available for the septic tank installation is also an important factor. Most tanks are installed in the front or back yards. As long as there is ample room for both the tank and the drain field, you can go with any septic tank size that you desire. In some cases, the local municipality may require that the septic tank size of any unit installed within its boundaries have a certain capacity. This means that even if twice your normal usage is less than this minimum requirement, you should still go for the tank size required by law. While it is true that your smaller tank may not come to light for many years, it could create problems when you attempt to sell the property. Your local government may also have regulations that relate to the installation process of any septic tank size within its boundaries. For example, you may be prohibited from installing the tank within a certain distance from your property line. Before you begin the search for the ideal septic tank, make sure you understand exactly what you must do in order to comply with local standards. How do I Choose the Best Septic Tank Design?